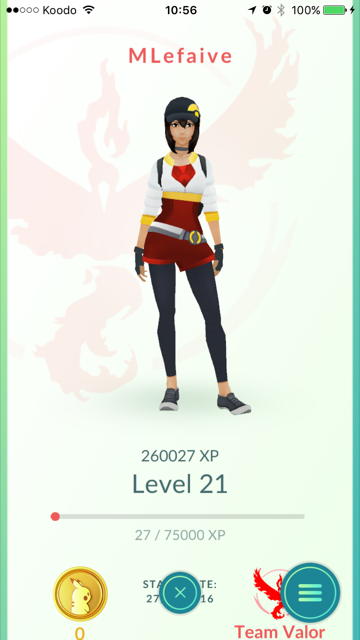 In an attempt to embrace our latent millenialism and maintain the illusion that we’re closer to 20 than 40, JF and I are avid Pokémon Go players. Yes, it’s just as embarrassing as it sounds. But we can’t seem to stop! Part of the appeal might be that it has become a competition. Mikaela vs. JF. Husband vs. Wife. Men vs. Women. We’re (literally) running around to see who can get to level 22 first. I’m edging ahead but my recent lack of pokeballs has put me at a serious disadvantage – unable to capitalize on any creatures that appear on my screen. Two days ago, I almost spent real actual money from the bank on virtual (e.g. make believe) pokeballs to catch a level 700 Staryu (level 700! Staryu!). I didn’t waste my wages, but I may have shouted « Noooooooooooooo! » on a busy Elmvale road. Why did I run out of pokeballs, you ask? OK you didn’t ask but I’ll tell you anyway. It’s because Elmvale only has four pokestops – the source of pokeballs. And when you’re a grown up with actual things to do, you simply don’t have time go by those pokestops again and again. Which brings me to today’s thesis : people in less populated are at a serious disadvantage in the game Pokemon Go. 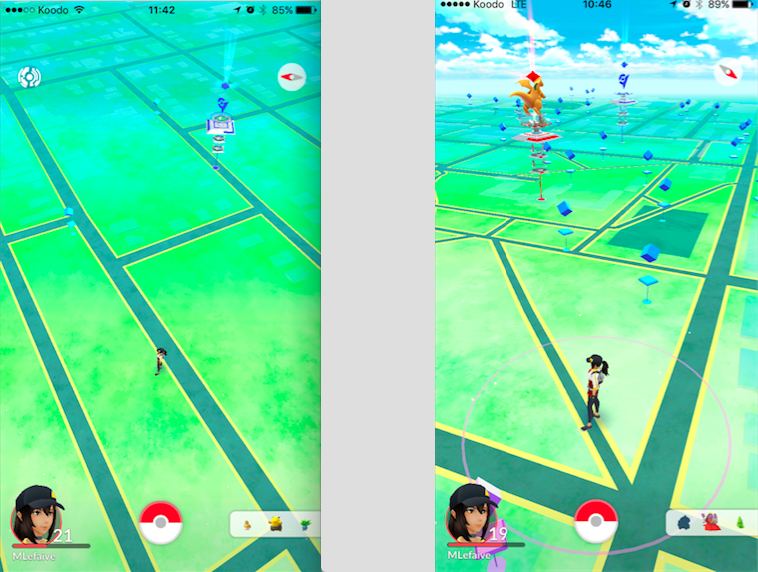 In Toronto, there is a pokestop or gym at every corner. Our friends Mireille and Patrick took us to High Park, where we filled our virtual pokebackpacks to the brim with pokeloot and caught all sorts of rare beasts. Sometimes, I dream of going back there without JF to gain a serious lead in our pokebattle. Left: downtown Elmvale. Right: downtown Toronto. Unfair! Last weekend we walked through Allan Gardens and caught a Bulbasaur, Clefairy and Gloom in the span of 20 minutes. That same amount of time in Elmvale might yield a Rattata (rat), Weedle (weevil) and Pidgey (pidgeon). So basically, Elmvale gets rodents and pests. Toronto gets fairies and dinosaurs. I call no fair! I’ve just re-read the words I (a 32-year-old woman) typed above. I feel deep shame but also a deep sense of injustice. Equality for the boonies! Equality for the boonies!